How to make gluten free brioche bun for your burgers. 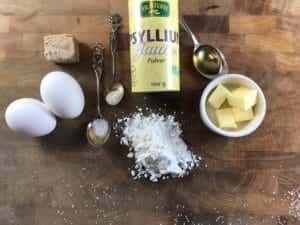 Here is the recipe for four (4) gluten free brioche bun for burgers. Mix yeast in milk (close to your body temperature). Add gluten free flour. Mix. Place blobs onto oven pan and form nice round buns. Pro tip: Use backside of the spoon as an aid. Cook in 435°F (225°C) for 10 minutes. Indirect heat. Take out, cut in half and start stacking your burger!